Luxury, Slope-Side w/ view, FREE NETFLIX, NEWLY UPDATED!!! If location and comfort are your top priorities, this is your place for an exceptional year-round mountain retreat. This is the address in Copper Mountain, distinguished for its luxury and slope-side location in the heart of The Village at Copper. Just steps away from the American Eagle and American Flyer lifts, making it ski-in, ski-out. Two quality restaurants are located on the ground floor; shops and entertainment abound throughout the village. A spacious and colorful floor plan. We just add BRAND NEW hard wood floors and carpet. This 2-bedroom, 2-bath residence is exceptionally comfortable. Furnishings and decor are beautiful and tasteful. The Master bedroom has a King Bed, The second bedroom has a Twin over Queen bunked!!! PERFECT FOR FAMILIES OR MULTIPLE COUPLES!! The condo features a gourmet kitchen with granite countertops, rich woodwork and premium appliances, a formal dining area, and a large master suite. Relax in the living room with gas fireplace, with peaks and slopes scenery framed by plenty of windows, or on the private deck with inspiring views of the slopes. The in-unit washer and dryer make it easy to ready your ski clothes for each day of great powder skiing (not very many condos feature in-unit W/D). Outstanding common area amenities include a beautiful lobby entrance, ski lockers and changing rooms, a fitness room, hot tub, sauna and steam room, and free underground parking. Known as the 'locals favorite,' Copper Mountain is the largest ski and snowboard resort in Summit County. 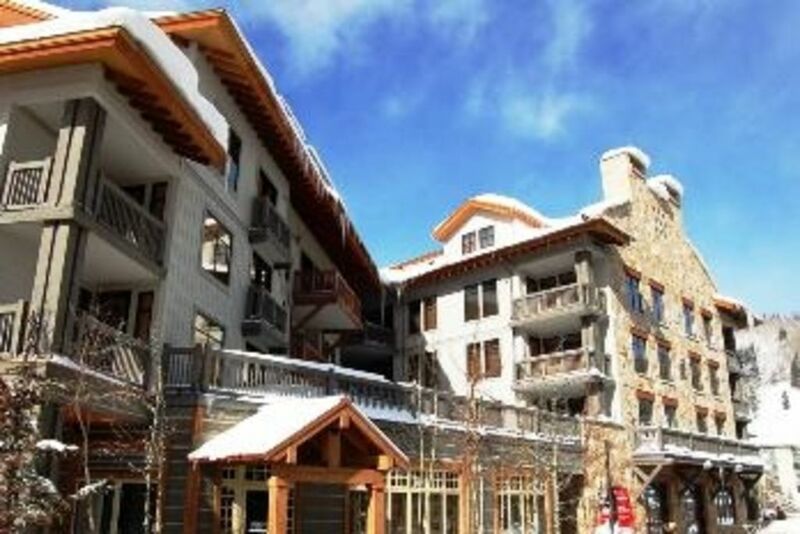 Its location also provides easy access to other top resorts of Breckenridge, Keystone, Vail and Beavercreek. on the same floor as the condo! We came out for a quick 3 day ski trip so we wanted to be in the middle of it all. Wow where we ever!!! Location was as advertised, less then 100 yards from the lifts and even closer to the first bar. Condo was amazing, everything you need for a ski condo and very upscale. As far the paring it was perfect. (never got the car out from the time we arrived until we left.) Used the buses to get where we needed to go after skiing. Our property manager returned text very quickly and was great to work with. Only small downfall was the elevator, it was slow. Great place to stay. This condo was perfect for our family of four! Several things made this property and experience one of our best. The condo itself was large with bedrooms on opposite sides, an in unit washer/dryer and a large, separated entryway that held all of our skiing equipment and clothing. This is also the only time we have not had to find our way (without a car) to a property management company in order to retrieve keys. The owner also stocked our condo with food and beverages, again making the whole experience easier for us. Copper mountain also has several equipment rental stores just steps away from mill club. The owners were very responsive and helpful- I wouldn’t change a thing! Great place! Comfy, quaint & clean. Walk out and ski! minute! The property is perfectly situated in Center Village only steps away from the American Eagle lift. Everything we needed was within walking distance. We can’t wait to return! We stayed her for spring break and loved it. This condo has everything to make your stay enjoyable including a washer and dryer. The slope is right outside your door which makes it super easy with kids. The kids loved that they could walk right outside roast marshmallows, and mom and dad loved that they could walk to a local restaurant for a drink and live music.